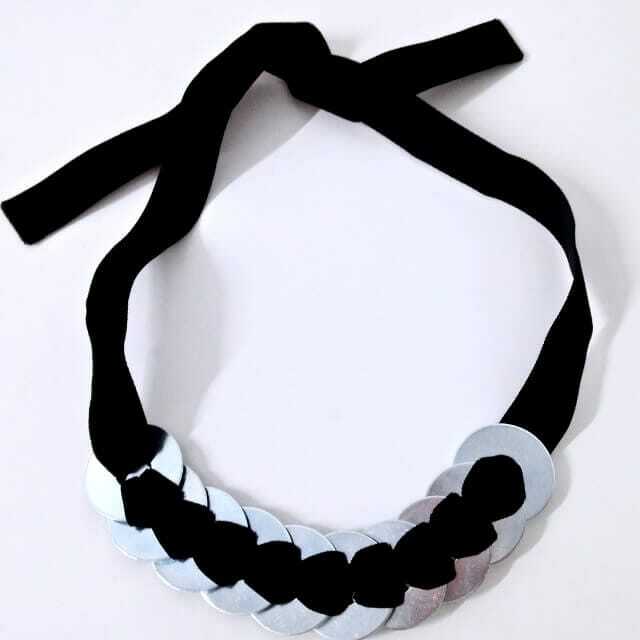 A brushed metal adjustable choker necklace on a large velvet ribbon. A striking modernist inspired statement piece that adapts to your outfit. 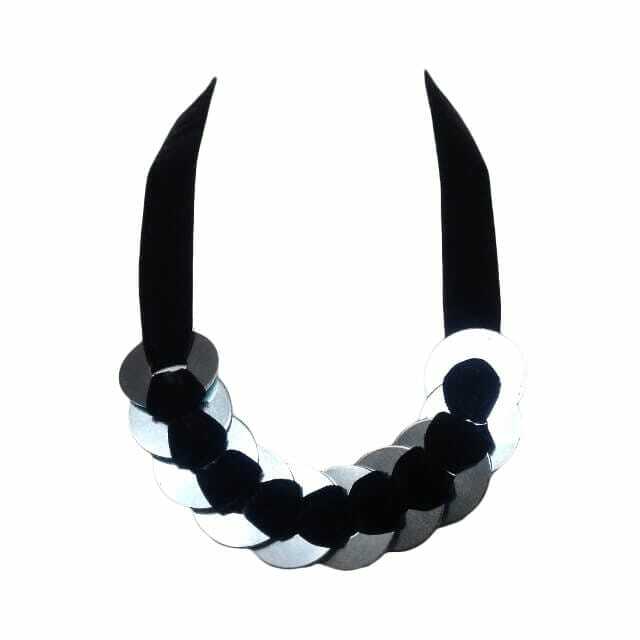 Adjustable modernist style necklace that will fit any neck size. Very versatile, it can be worn quite short or a bit longer. Perfect for any outfit. The weight of the metal will help keep the necklace’s shape. 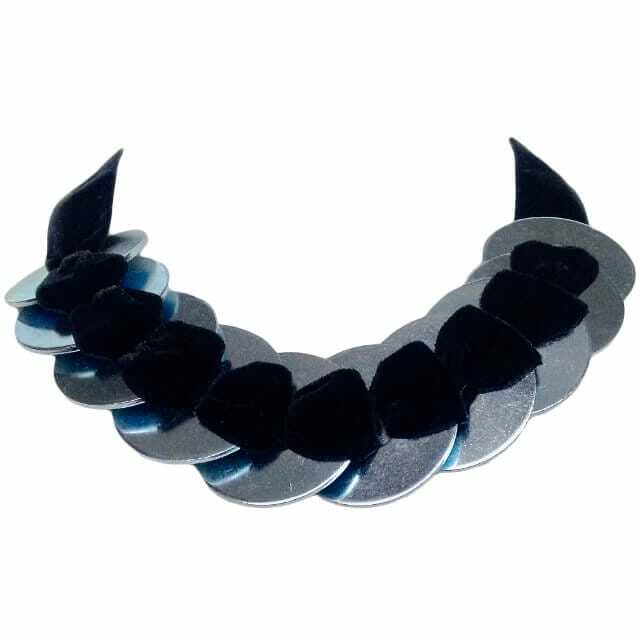 Gently follows the shape of your neck and wraps around it effortlessly. The fastening creates a lovely detail at the back as you adjust the necklace to the desired length simply by tying the ends of the ribbon into a gorgeous fluffy bow/knot to secure the piece.